Susan J. Harris, born in Bristol, Virginia in 1952, has been a resident of North Carolina since 1971 and calls North Carolina home. She is currently based out of the Greater Piedmont area where she resides with her husband, John, and close to their two grown children. For many years Susan worked in the corporate world, raised and home-educated her two children and cared for her aging parents. In 2004 she decided it was time to pursue her childhood dream and began painting full-time. Her art education includes academic instruction, private study and mentoring under a professional artist, and independent study in various media such as stained glass design and construction, pottery, etc. She continues to broaden her art knowledge and experience as opportunity permits. Her background in art education and working with multimedia have provided Susan with a broad spectrum of understanding and appreciation for all aspects of art enabling her to serve as a juror for fine art exhibitions and on judge’s panels for multi-grade art fairs. 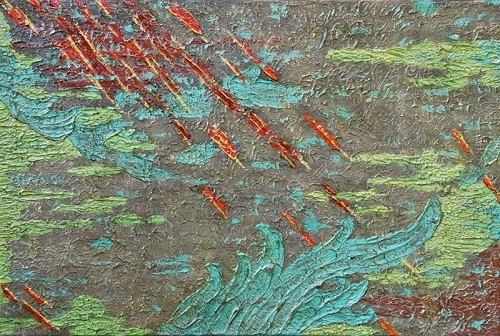 Although she has produced artwork in numerous mediums, her preference is acrylic mixed media abstraction. She is an accomplished and internationally published abstract expressionist painter and maintains gallery representation. 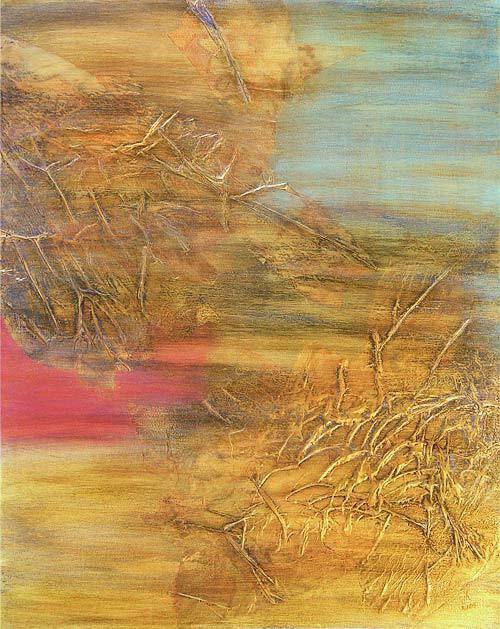 Her artwork has exhibited in solo, national juried and group exhibitions in museums and galleries across the state of North Carolina. Susan’s fine art can be found in private and commercial collections throughout the US and Canada. I knew at an early age that art would always be a big part of my life. For me, it is an expression of emotion and the inner self, indicative of an individual journey and an exploration of identity. My passion is painting abstract expressionism in acrylic mixed media. I begin each piece with a single concept, often a simple observation of nature—the striking color of a sunset, the labyrinthian texture of a leaf. That concept then evolves, layer by layer, into a larger exploration of mood and emotion with the purpose of evoking the viewer’s own interpretation. Each painting is a search, an experiment, a journey. In 2011, I noticed circles of various sizes and colors seemed to have found their way onto many of my canvases. I took an introspective look to analyze why these circles kept appearing and concluded that painting from the heart does, indeed, have a tendency to reveal who I really am—as an individual and as an artist. For me, circles represent a promise of commitment and truth—top priorities on my list of important characteristics to exemplify in life. Each painting I create now incorporates at least one circle—maybe more. They may be in the painting itself or on an outer edge, pronounced or subtly embedded. The circles symbolize my promise to art collectors that I have stayed true to my commitment to paint from the heart and that I have made every effort to produce the highest quality of art I am able to achieve. 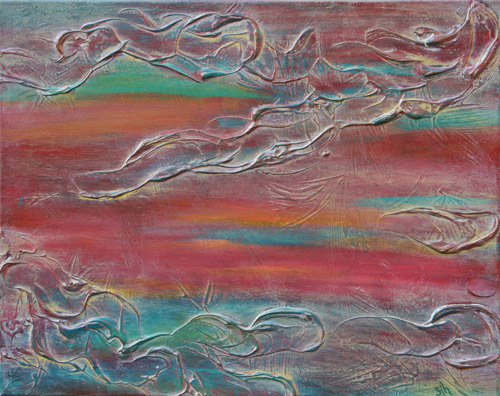 Journey is a portfolio of paintings expressing feelings, emotions, and inspirations in my life. 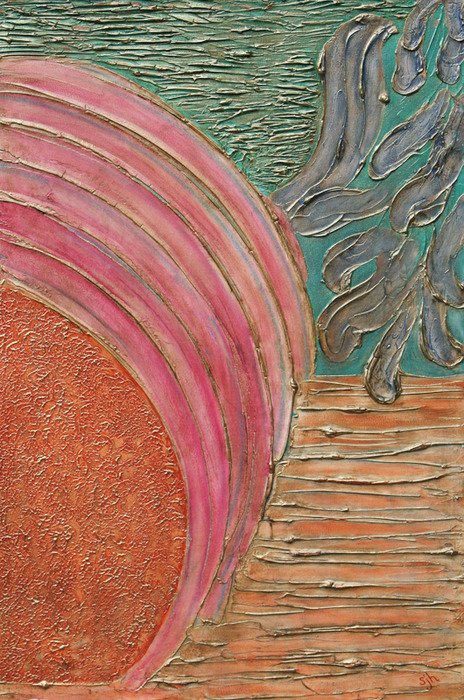 “Inner Terrain” is an original abstract consisting of raw umber and blue with a dash of fiery pink, capturing with texture and golden tones the feeling of gazing past tree branches into the early evening sky as it changes through hues of pink against the fading blue of day. In life we experience various seasons of sadness and grief. “Joy Unleashed” is intended to be a reminder that although weeping may endure for a night, joy comes in the morning. An original abstract intended to be a reminder to take some time out to enjoy the simple pleasures of life like a beautiful sunset or a scoop of rainbow sherbet bursting with flavor on a summer afternoon. Twenty-two plus layers of texture, paint and technique…each layer representing a journey of anticipation. The beginning layers of texture and paint were rough and difficult to work with just like we can be at times in our life; but as texture was applied, sanded and refined and layers of color added, the rough edges and underlying flaws began to disappear depicting how we are always in process—ever-changing and evolving—pressing forward in anticipation of our destiny.